ENJOY A VIP EXPERIENCE AT LE TOUR! Dates: July 20 - 22, 2019. Two nights in a four-star luxury hotel located on the finishing circuit in Paris. VIP Luxury Suite overlooking the official race course. Best breakfast spread in Paris! Lunch, open bar in VIP Luxury Suite, private race viewing, private bathrooms, and air conditioning. Option for Paris Bike Tour on the final Sunday of the race, including riding the final circuit in Paris. We can book additional activities for your group including Seine boat tours, museum visits, restaurant reservations, etc. Perfect for businesses, coaching organizations, and groups of at least six persons. We welcome individual inquiries as well. Contact us today via the form below to start planning your ultimate Paris Weekend at the 2019 Tour de France. 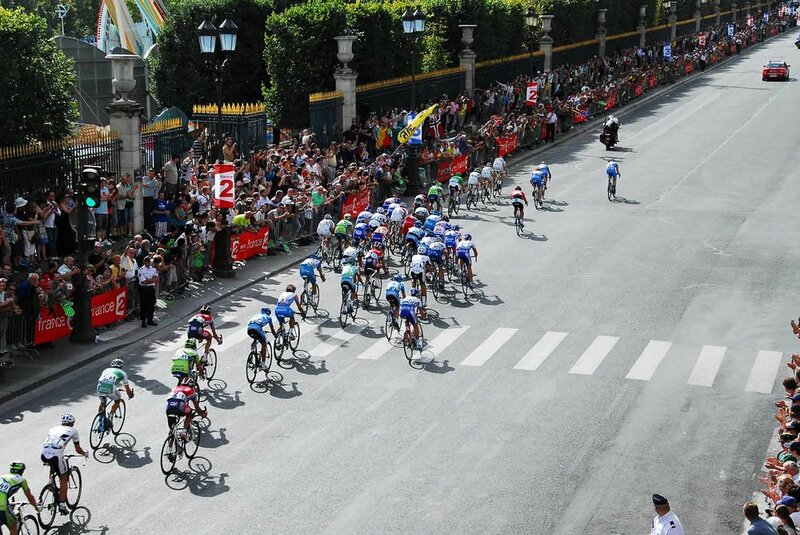 As past guests will tell you, there is no better place to be in July than than in the heart of Le Tour! Thank you for your inquiry! We will be in touch within the next 24 hours. Have a great day!